We add new tracks or artists when we find them on one of the playlists or charts we are tracking. 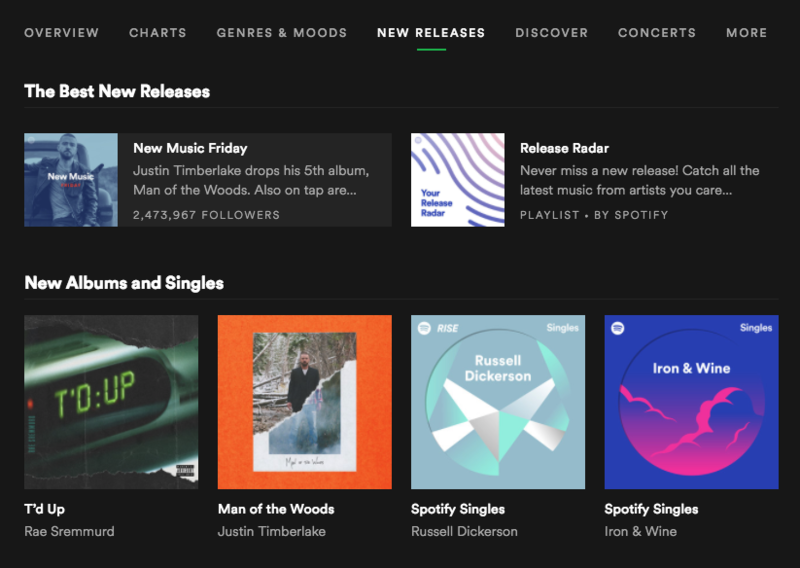 We also add new releases from Spotify every Friday. We are tracking more than 1 million playlists, and also all the viral charts by country on Spotify, so we have a pretty good chance that we will find a trending track or artist without a delay. If your song hasn't been added to a playlist yet, you can create your own 'originals' playlist on your artist profile and add all past and future song release. This will ensure that your song is being tracked from the release day.